Shopping for Wizard of Oz Bed and Bath? "Lions, and tigers, and bears! Oh My!" 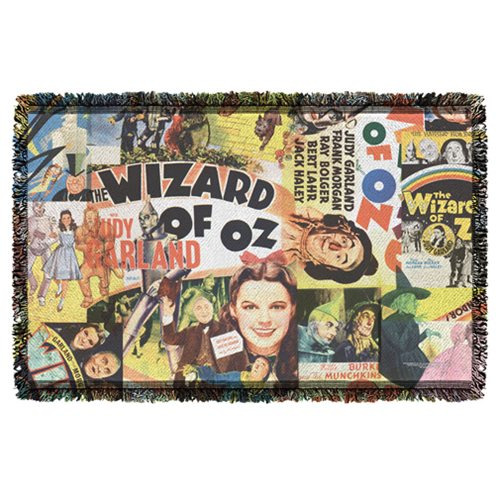 Relive your favorite moments of Dorothy's heartfelt journey to the mysterious and wonderful Oz with The Wizard of Oz Collage Woven Tapestry Throw Blanket! Enjoy the many iconic moments featured on this woven throw in your home, wall, or "somewhere over the rainbow".